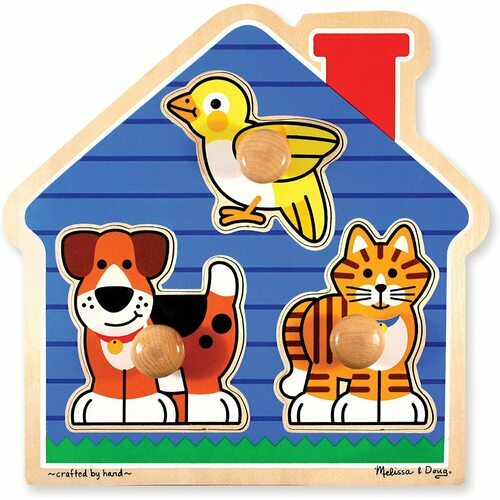 Three favourite pets live in this cosy blue house and are always ready for puzzle play. 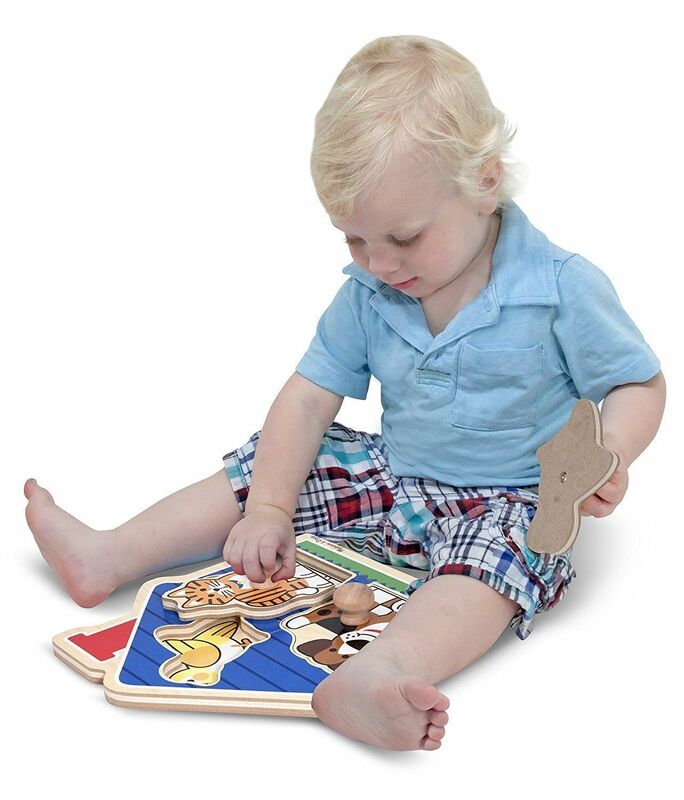 This extra thick wooden puzzle includes three pieces, with jumbo wooden knobs for easy grasping. Full-colour, matching pictures appear underneath each piece. 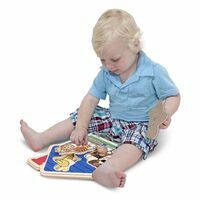 A great activity to encourage eye-hand and visual perception skills. 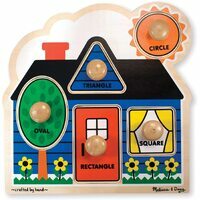 Product size: 30.5 x 30.5cm.